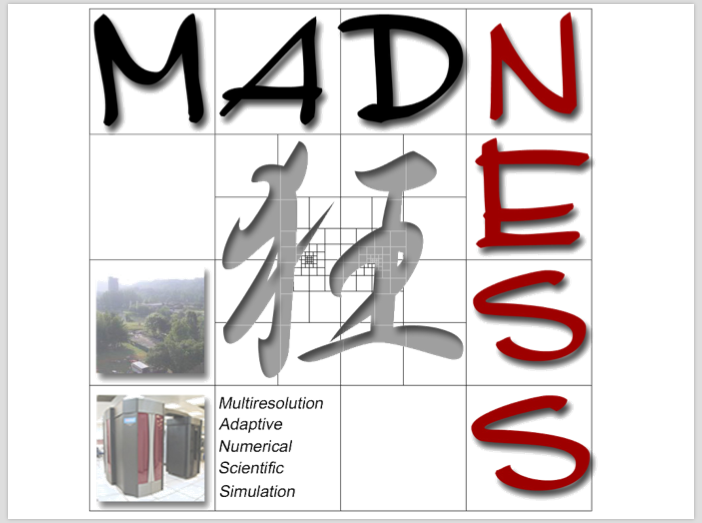 MADNESS (multi-resolution adaptive numerical environment for scientific simulation), which received an R\&D 100 Award in 2011, is a general purpose numerical framework for fast computation with guaranteed precision in many dimensions. It is portable from laptops to the largest supercomputers and is open-source under GPL2 with active developers/users at multiple universities and DOE laboratories across the USA, Europe, Japan, and the UK. It started as an environment for fast and accurate numerical simulation in chemistry, but rapidly expanded to include applications in nuclear physics, boundary value problems, solid state physics, and atomic and molecular physics in intense laser fields. 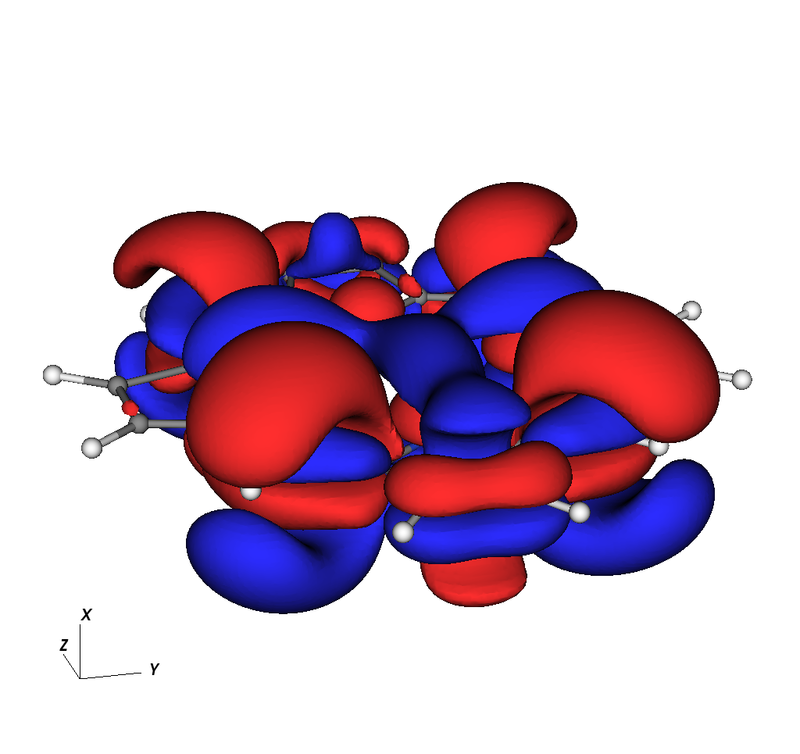 Computations beyond 3D include time evolution in an intense laser pulse of H$_2^+$ in 4D, and in 6D the first ever numerical computation of the MP2 energy of a nonlinear molecule. For fast computation with guaranteed precision MADNESS employs adaptive multiresolution algorithms and separated representations for efficient computation in many dimensions. Prior support from NSF, DOE, and DARPA has resulted in the MADNESS parallel runtime being a powerful environment for the composition of a wide range of parallel algorithms. The central elements of the parallel runtime are a) futures for hiding latency and managing dependencies, b) global namespaces with one-sided access so that applications are composed using names or concepts central to the application, c) non-process centric computing through remote method invocation in objects in global namespaces, d) dynamic load balancing and data redistribution, and e) a task-based execution model optimized for efficient execution on multi-core processors. A Boost-like serialization interface is used for migration of general objects. Current NSF support is exploring dependency-based programming models and utilization of advanced runtimes. R. J. Harrison, G. Beylkin, F. A. Bischoff, J. A. Calvin, G. I. Fann, J. Fosso-Tande, D. Galindo, J. R. Hammond, R. Hartman-Baker, J. C. Hill, J. Jia, J. S. Kottmann, M-J. Y. Ou, J. Pei, L. E. Ratcliff, M. G. Reuter, A. C. Richie-Halford, N. A. Romero, H.
Sekino, W. A. Shelton, B. E. Sundahl, W. S. Thornton, E. F. Valeev, Á. Vázquez-Mayagoitia, N. Vence, T. Yanai, Y. Yukoi. “MADNESS: A Multiresolution, Adaptive Numerical Environment for Scientific Simulation”. SIAM J. Sci. Comput., 38, S123-S142 (2016).